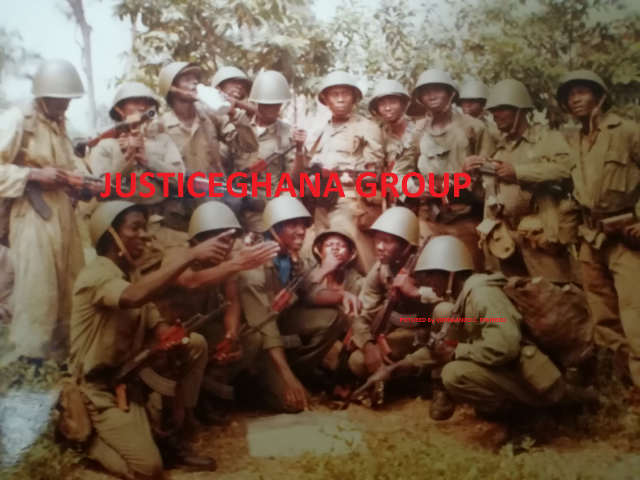 With Paul Afoko, Freddy Blay, Kwabena Agyepong, John Boadu, Sammy Awuku etc etc. It is normally not my style to make my views on aspirants in any NPP contest public, particularly using this column. I have, most of the time, used interpersonal communication methods to convince delegates to vote for particular candidates in such contests both at the Constituency, Regional and National levels. This year, I decided to break that policy for what it is worth. As the immediate past First Vice Chairman of the NPP in the Western Region, I decided not to seek re-election so I can help remove the then Chairman whose incompetence was and may be still is phenomenal. Western Region is the better for it now. It is very sad but real that the NPP, as it stands today, is mentally divided into Alan Kyerematen and Nana Addo camps; an unfortunate situation which emanated from the 2007 primaries for the flagbearership for the 2008 general elections. We have denied this on many platforms and at the least opportunity available to us because physically and numerically, the NPP remains the biggest political party in this country. The fact is that the support by party members for one leader or the other is not too deep-seated to affect our fortunes as a political party as the two last elections showed, even though we did not win power. The mental division exists about a perceived threat that one’s position in the party may affect the support for a particular candidate or the other in future elections. This thought has created a situation which has negatively affected the selection and election of party members even at the grassroots level. The consideration is whether the person is an Alan person or Nana Addo person. Before I go further, let me declare my assets in respect of loyalty and support for the two personalities I have mentioned above. I am a dyed-in-the-wool Nana Addo supporter, but I do not support incompetent supporters of Nana Addo to hold party positions at any level just because they support Nana Addo. As I was saying, the elections at the Constituency levels have been bedevilled by who is loyal to whom when it comes to the flagbearership race. It is also a fact that those elections have been influenced through financing from across the ‘borders’ of the constituencies just to ensure that those who can be counted upon to win the elections and throw their support for us ‘when it comes to our turn’. Similar situations occur during the regional elections and up to the national elections. Competence, understanding and appreciation of the task of party executives at all levels are subsumed by consideration of who will ensure our victories at later internal elections. Invariably, some people find themselves elected or selected to certain positions for some of the stated reasons just for them to relapse into inaction and inactivity when it comes to the real work which will ensure the total victory of the party. This is the truth that needs to be told as we cruise to the beautiful city of Tamale. How can we be talking about unity when the selection and election of party officials to manage and run the party for elections are based on who supports which flagbearer for general elections? Such a situation gives room for the election of incompetent officers who are just there to ‘protect’ an individual even when they do not add anything good in the interest of the individual they claim they so much love. Let us face it, the flagbearer of the NPP did not lose the last two elections, it is the managers of those elections who did not help the party to win the elections. The election figures are there for us to see, in the two elections in our recent past, the flagbearer performed far better than all the Parliamentary candidates. Apart from the very laudable and vote catching promises and manifesto of the party, what strategies did we go into the elections with? I am not sure that if we elect a competent group of people who may not agree with a particular flagbearer, those party leaders will use their competence to get the party to lose the elections? We can no longer replace loyalty alone for competence and efficiency. In any case, a good leader is the one who can get even his opponents to do what he wants them to do to achieve a stated goal. A good leader is able to turn his adversaries into loyal compatriots for the good of all. This Congress should not be about Alan or Nana Addo, it should be about people who will offer the best strategies and managerial abilities with persuasive skills and language to get even our political opponents who are equally seething under the incompetent John Mahama administration to vote for us for a better life. Paul Afoko should be the chairman, with Freddy Blay as the Ist Vice Chairman, John Boadu as the Organiser, Sammy Awuku as the Youth Organiser, you can add to them from the rest and I can bet that victory will be ours in 2016 with Nana Addo as the flagbearer. Unity can best be achieved in the party when we blend the varying opinions in the party to achieve the final object of victory. Any attempt to sideline others on the basis of loyalty to another will not bring all the talents we have for the victory ahead of us. That is the only time the much touted unity would have been actualized. See me for your mahogany bitters, limited stock so it will be on the basis of the early bird catching the worm. Welcome to Tamale.